HBO's new comedy "Vice Principals," starring and co-created by Danny McBride, playing a frustrated high school vice principal, is mildly amusing. It's also an illustration of how hard it is to stand out among sitcoms right now, and how HBO is drifting when it comes to comedies. HBO can point to its Emmy-nominated tandem of "Veep" (last year's winner) and "Silicon Valley" as evidence it hasn't lost its fastball. But the fact is the network has reached a crossroads with its comedies, and while it's been stuck there, the rest of the comedy world has caught up with it. Not every network can spend the millions upon millions that a show like "Game of Thrones" costs, but comedy is different than drama; it's easier, and cheaper to produce. Because the costs are significantly lower, the genre has attracted a host of prestige players and wannabes, turning out shows with a very HBO-like feel. Whatever the factors, the network has been seeing mixed results from its comedies recently. "Togetherness" was canceled. "Looking" will conclude its two-season run with a 90-minute movie on July 23. "Girls," love it or irritated by it, will end after its next season, removing another distinctive voice from the lineup. That sort of malaise has heightened anticipation for -- and perhaps put added pressure on -- HBO's upcoming comedies, including the self-explanatory "Divorce," starring Sarah Jessica Parker; and "Insecure," featuring Issa Rae, who was responsible for the web series "The Misadventures of Awkward Black Girl." "Vice Principals" premieres alongside the return of "Ballers," a breezy, fun-in-the-Miami-sun series starring Dwayne Johnson, which can easily be descrbed as "'Entourage' in pads." While the new show has moments, tellingly, it doesn't feel as funny or fresh as the similarly themed "Teachers," a comedy featuring improv group the Katydids on, of all places, TV Land. Neither fit the yuppy, angsty formula of HBO's other comedies, but that doesn't mean they come off as all that original, either. In fact, given the talent involved, both feel like underachievers. McBride previously starred in HBO's "Eastbound & Down," in which he played a down-on-his-luck baseball pitcher, and the tone of both shows is similar. McBride has already said the series will run just two seasons, which sounds about right given the thinness of the concept, about a pair of vice princpals passed over for the promotion they both seek. In comedy or drama, HBO -- which, like CNN, is a unit of Time Warner (TWX) -- has the latitude and resources to be a trendsetter. Yet the question is whether the playing field has shifted enough that in the former's case, the pay-cable powerhouse needs to take some bigger swings in order to deliver its next signature hit. 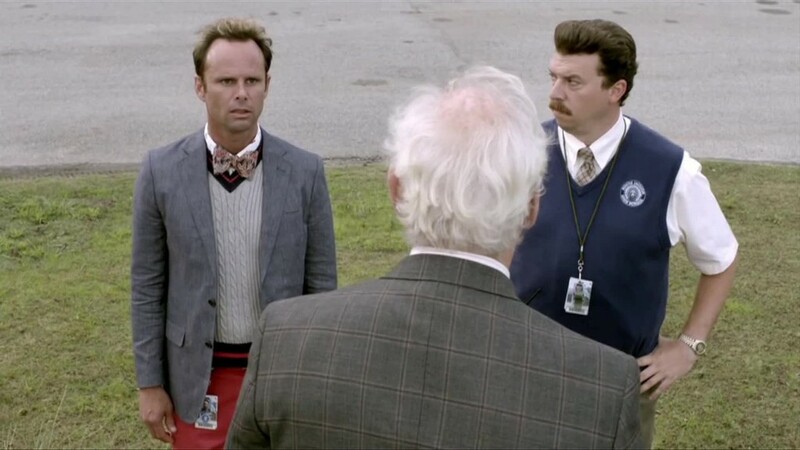 "Vice Principals" and the second season of "Ballers" premiere July 17 on HBO.